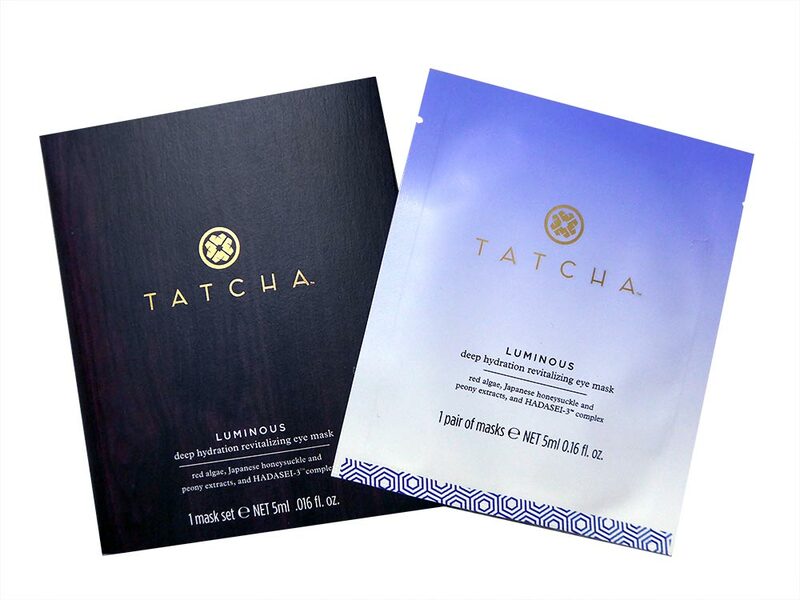 This summer, TATCHA expands its Water Collection to include 2 new products, Luminous Deep Hydration Firming Serum and Luminous Deep Hydration Revitalizing Eye Mask. The Luminous Deep Hydration Firming Serum ($95) combines a deeply hydrating blend of Okinawa Red Algae and Hyaluronic Acid to soothe and firm skin. 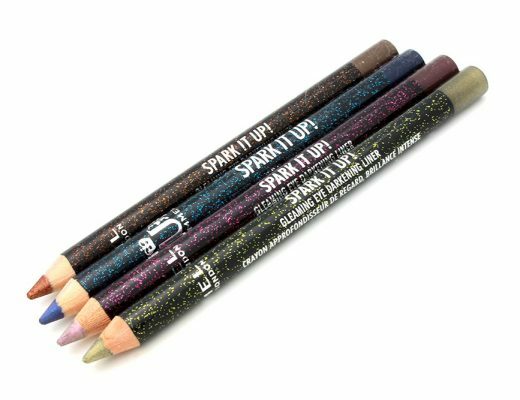 Thanks to the very tiny pieces of 23-karat gold to give skin a lit-from-within look minus shimmer, it had a slightly yellow tinge that disappeared completely once massaged into the skin. 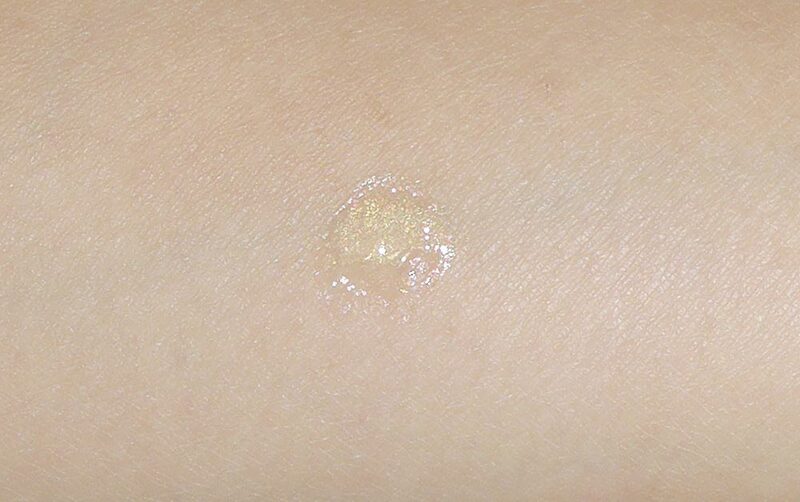 On my dehydrated combo skin, the serum felt semi-sticky and added a nice glow. While I would not say my skin felt very moisturized right away, I did wake up to the softest, smoothest skin the next morning with zero signs of dryness. 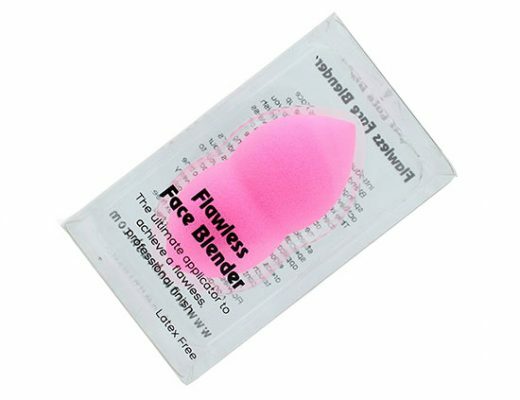 I would highly recommend using this in the PM unless you have very dry skin. The Luminous Deep Hydration Revitalizing Eye Mask ($12 each or $95 for 10), on the other hand, contains Okinawa Red Algae blend with nourishing Peony Extract for luminous, purified skin. 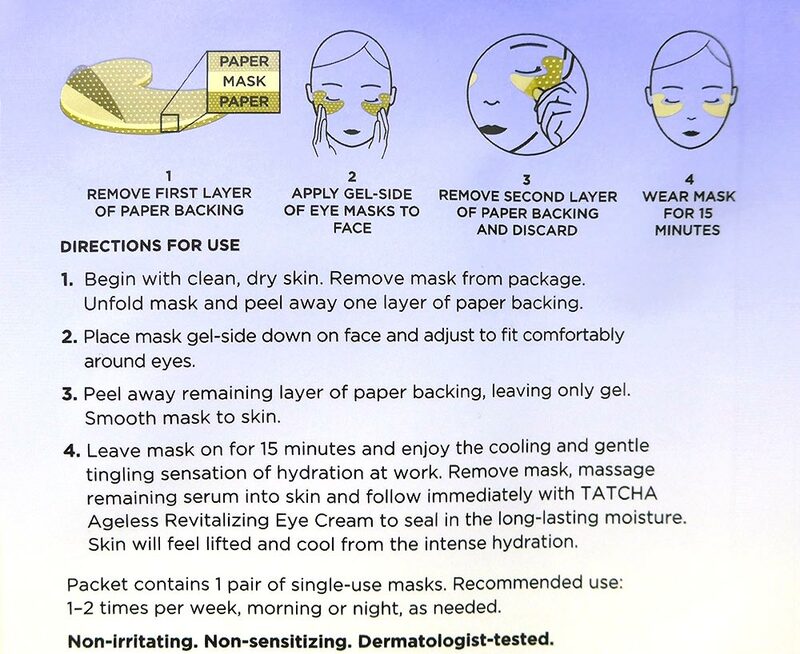 To use the mask, you peel off one side of the paper backing, place it directly onto the undereye area, peel off the other paper backing, let it sit for 15 minutes then remove. 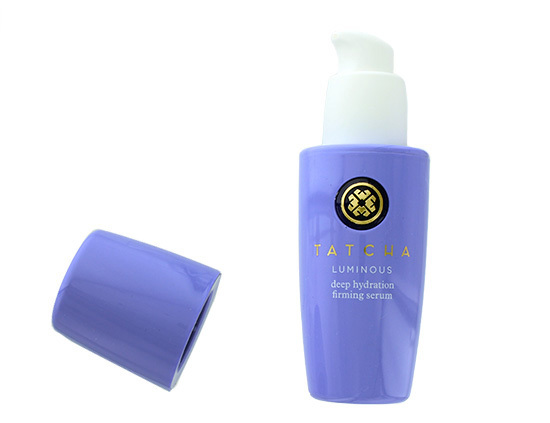 Like the TATCHA Luminous Deep Hydration Lifting Mask I loved, the eye mask is made from a coconut-derived biocellulose that is slightly thicker than your regular Asian sheet masks and a completely perfect fit! Once it was on, it did not budge or drip the slightest bit. The mask also had a cooling sensation which felt very great and soothing on tired skin. 15 minutes later, my eye area felt tighter and appeared brighter as well. Definitely a great pick-me-up! 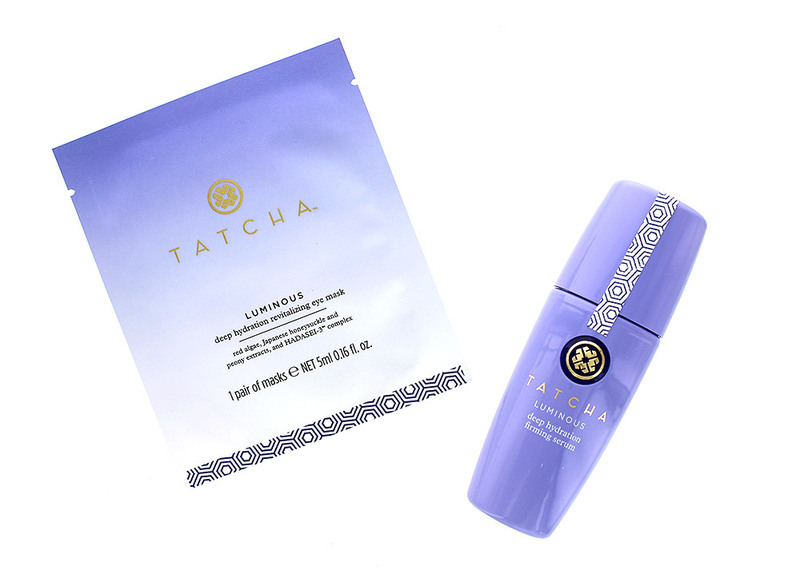 TATCHA Deep Hydration Firming Serum and Revitalizing Eye Mask are available at tatcha.com and select Barneys New York locations.